Huge variety of stainless USB flash drives! Click to shop for swivel USB flash drives! 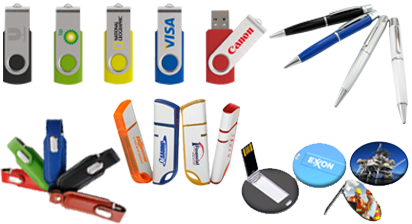 Your online USB flash drive supplier! Can't Find It? Contact Us! Many styles and imprint methods available! Your Memory Stix is your best choice for custom printed USB flash drives, custom molded USB flash drives, and USB flash drive packaging and accessories. At Your Memory Stix, we believe that if you can imagine it, we can create it.We also believe in delivering the best possible service, value and selection to all our customers. When you purchase branded products from us you will experience secure transactions, personal service, and a range of value-based pricing options. And if you can't find what you are looking for on our site, contact us and we will search our extended product network for you. When you choose Your Memory Stix, your purchase helps support our giving efforts, which include funding for educational programs in public schools and much more.